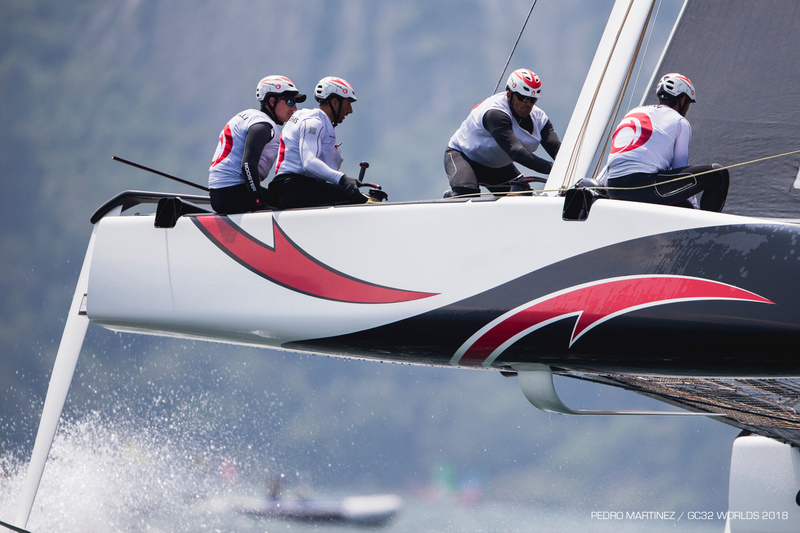 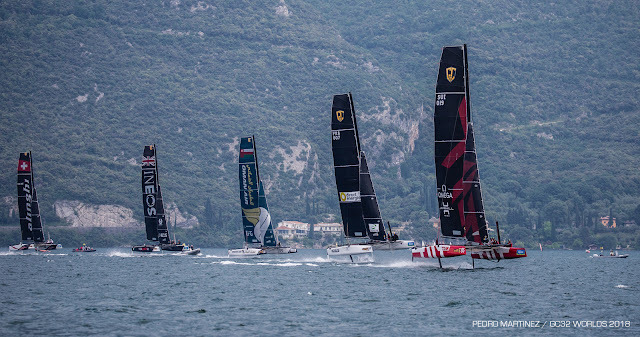 "Going into its final day, this inaugural GC32 World Championship appears to be a two horse race but with five races still to sail, in theory the top 11 teams remain in with a chance of victory. Nonetheless two teams are dominating: Sébastien Schneiter’s crew on Team Tilt holds a two point lead over Jes Gram-Hansen and Rasmus Køstner’s SAP Extreme Sailing Team, in turn with a 14 point cushion to Oman Air in third. 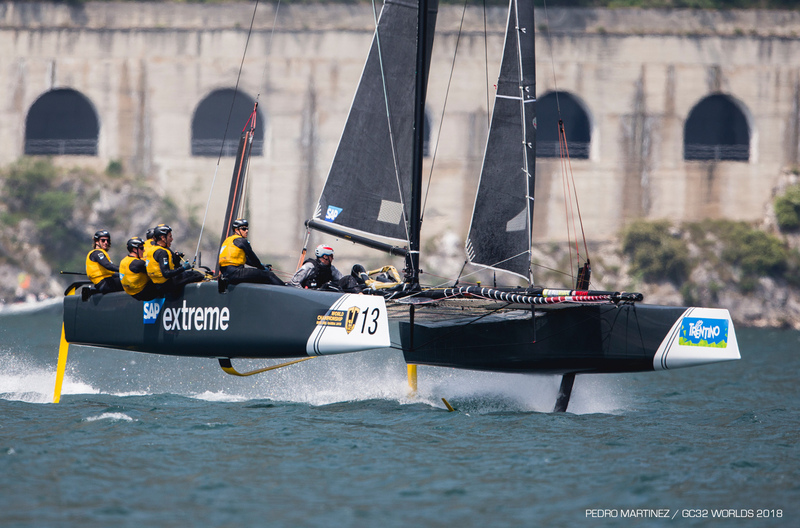 Four boats are currently within seven points of the podium’s bottom rung.